This tour shows you the city as the sun goes down and the lights come up, focusing on Boston’s beautiful waterfront. See some of Boston’s coolest sights while keeping an eye out for fun restaurants and after-dark hang outs for later in the evening. Breathtaking views of the skyline at night! This tour includes an individually-fitted bike, helmet, water, and, of course, a friendly and knowledgeable guide who will lead you on your travels. The tour is 1.5-2 hours long and covers 5-7 miles. 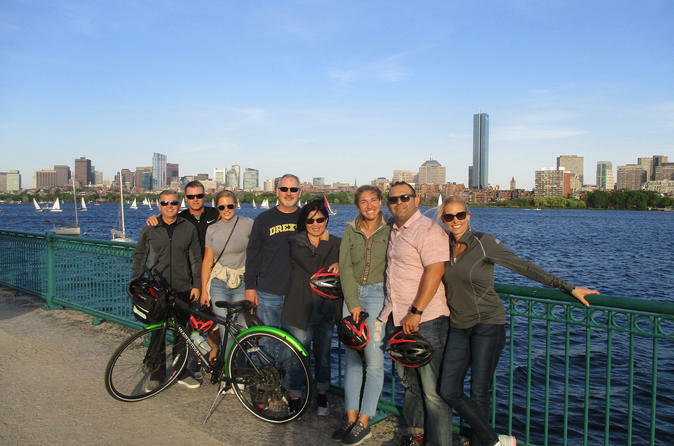 Join us for a quiet evening in Boston the right way – on a bike!